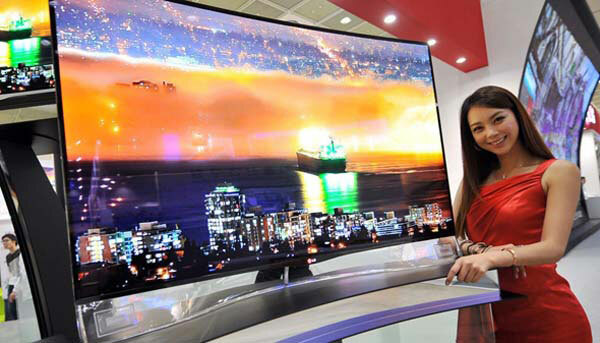 The last month of 2013 hasn’t been a good one for OLED TV technology. Not only has one of only two OLED TVs on sale in the UK had its price slashed by nearly 50%, but the word is that Sony and Panasonic are giving up on their joint development venture, and a leading market analysis company has seriously rethought its position on the growth of OLED TV sales. That the Panasonic/Sony joint OLED venture won’t be renewed when it expires in the next couple of days should really come as no surprise: the deal always looked like something of a rearguard action to fight off the threat from the two big South Korean names, which took a lead in commercialising OLED after Sony had made the initial moves in Japan. For two companies – once the major combatants in the TV sector both worldwide and on their domestic market – to join forces was unlikely enough, even as a measure of desparation. However, when it became clear a few months back that Panasonic was, in fact, pulling the plugs on its plasma TV panel operations – after repeatedly denying that it would do so –, the OLED deal’s continuation looked increasingly unlikely. 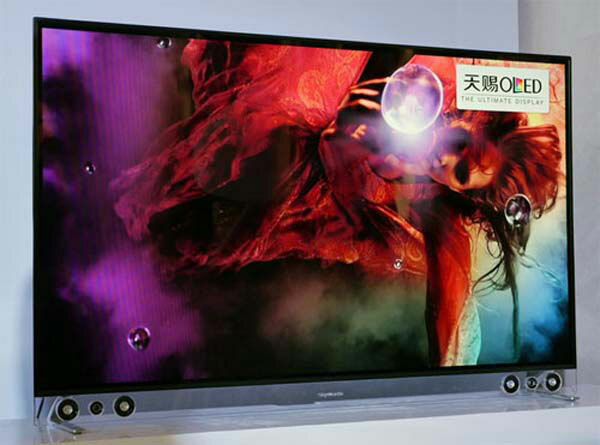 Many saw Panasonic’s plasma pull-out as the green light for an OLED-based future at the Osaka company, but in reality what the move signalled was a decision to stick to known technologies such as LED-lit LCD panels, which are now more than good enough for the market. OLED is still just too tricky to make – for which read too expensive – even with Panasonic’s screen-printing technology combined with Sony’s OLED expertise, and the screens still aren’t durable enough to succeed as consumer products. A production base for OLED should have been set up by the two by now; instead, they’re reported to be planning to pursue development independently. So it looks like Japan’s remaining consumer electronics leaders are going to concentrate on refining what they already have, improving LED-lit LCD technology to serve the needs of 4K UHD TV standards, rather than investing in new technology in the quest for a quality few consumers seem to require, and for which even fewer are prepared to pay. The evidence of that reluctance? LG launches 55in curved OLED TV screen at £8000 then, almost before the rave reviews are published and the hype machine in full motion, the price is down to £5000. It remains to be seen how well the TV will sell even with a near-40% price cut. The prognosis for OLED from TV market analysts NPD DisplaySearch isn’t good: it has just downgraded its estimates for this year’s OLED TV sales by a massive 75%, now saying 5000 sets will be sold against the 20,000 it had been expecting. And even looking forward to 2017, when it had said 9m OLED TVs would be sold worldwide, it’s now estimating less than half that number, at just 4m units. By contrast, it expects 4K TV sets to make all the running, with almost 2m sets sold this year, rising to over 60m in 2017, by which time it will account for a fifth of all LCD TV sales. Read between the lines, and the thinking is clearly that even four years down the line, 4K/UHD TVs will be LCD-based, and some 300m LCD TVs will be sold against just 4m OLED sets. Half a decade from now, OLED is still going to be a very small part of the market; much smaller, indeed, than plasma was in recent years. Meanwhile Chinese company Skyworth is planning to launch its own OLED TVs (below) late in 2014, using panels from LG Display. Coming from such a manufacturer, I think we can safely expect them to be priced competitively – even if Skyworth TVs haven’t exactly set a wide range of export markets alight with excitement to date. But I take with a giant pinch of salt some commentators’ assertions that the Skyworth announcement shows that all is well in the state of OLED, and the LG Display has things so well sussed that bargain OLED TVs have at last become a reality. After all, this wouldn’t be the first brand to make such an announcement purely for the halo effect it’s hoped it will have on the rest of the range. That’s something the Chinese firms have learned very quickly from the Korean companies, with their announcements of the largest this and the curviest that. I’m not going to be at CES 2014 to hear all the claim and counterclaim stuff, lapped up as ever by hacks frantically filling websites and baiting the clicks – been there, done that, got the commemorative knapsack. I went a few times some years ago, and that was quite enough, thank you – and anyway these days one can keep up with the news from shows such as that perfectly well from the comfort of your desk or sofa, thanks to electronic press kits. live-streamed press conferences and keynote speeeches and the like. Of course, the vicarious showgoer does miss the experience of a couple of days in the huge exhibition halls – which is another plus point. However, whatever revolutionary new TV technology may be unleashed at this year’s circus – probably about time for SmellyVision to come round again, isn’t it? – I think I can pretty confidently say that four or five years from now, the TVs we’re going to be watching will be flat, LCD, lit with LEDs, and better than anything we’ve seen to date. I wish they could improve the off axis viewing a LCD/LED panels. With Plasma pretty much leaving the marketplace and OLED slow out of the gate,there won’t be many options with a wide consistent viewing angle available.